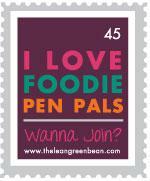 Have ya heard about Foodie Penpals? It’s pretty simple. Lindsay over at The Lean Green Bean runs it every month. You get sent a name and email address, contact that person for their address and other information (allergies, etc.) and then mail them a food package. The person who sends you a package is a totally different person. It’s fun to see what you’ll get and I have a good time picking out stuff for the other person. This month the person who got me was Stephanie. She doesn’t have a blog so I can’t link to her but she sent some great stuff! 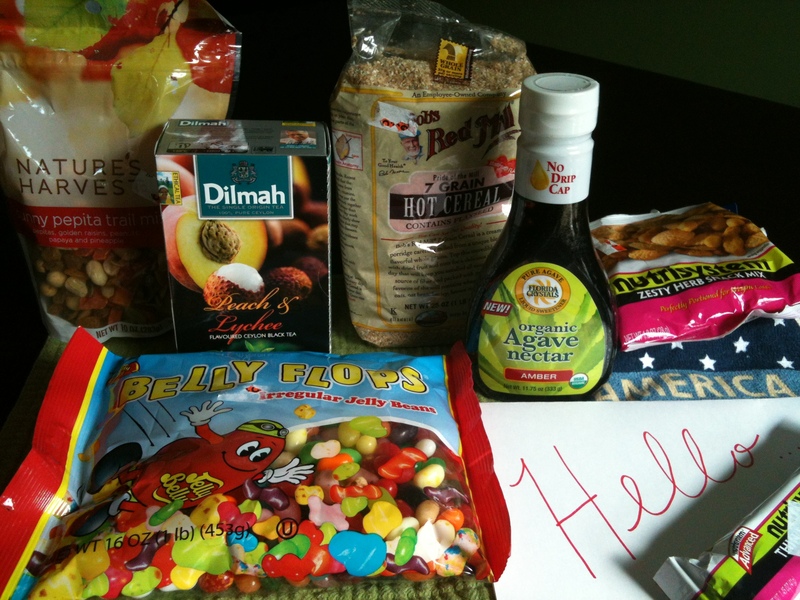 In a very thoughtful way, Stephanie sent a box of food that would take me from the start of a day through the end. I’m kinda bummed that neither the person who I sent to and the person who sent to me have blogs, but I hope Christine who I sent to liked her package! I did email Stephanie to let her know how much I appreciated what she sent me. Previous PostEasier Said Than Done?Next PostJust a Little Reminder . . .